Joel Chavez, a middle school science teacher, experienced his first earthquake last December. He says he was lying in his bed reading at around 1:30am when it hit. “I definitely heard a boom. And then I felt a sensation go through my body,” he says. He knew right away that he needed to do something about it. 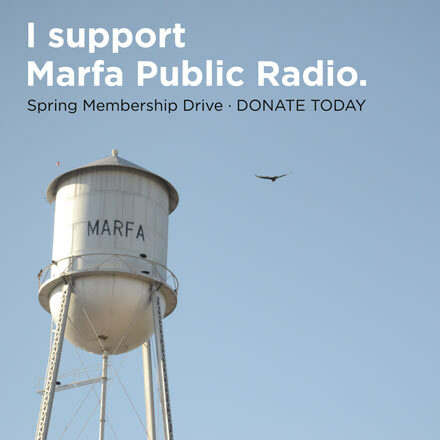 He initially approached the Pecos City Council about setting up an interactive map where residents could self-report the earthquakes they felt, but the council opted not to help. Now, data from that TexNet earthquake monitor and others in the area are revealing that earthquakes are happening almost every day in and around Pecos. TexNet has recorded about 650 earthquakes around Pecos since the start of 2017, according to Peter Hennings, the Geology Lead at the Center for Integrated Seismicity Research, which runs TexNet. That’s more than 30 times the number of earthquakes reported in the area over the last decade by the USGS. Hennings advises people not to panic. “While the number is high, the earthquakes are tiny,” he says. However, the tremors don’t feel so tiny to local residents. 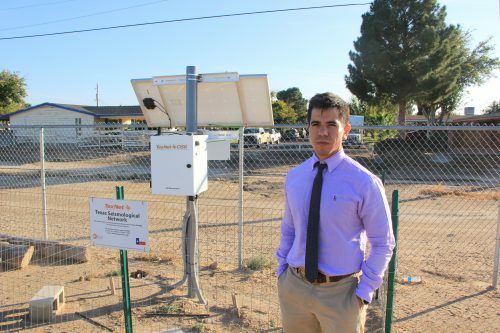 Since science teacher Joel Chavez, helped bring the TexNet earthquake monitor to Pecos, local residents have been coming to with their concerns. “A lot of residents have asked me, like, at point blank, like, should I leave, should I take my children? Where should I go…?,” he says. This entry was posted in KRTS News and tagged Earthquakes, Pecos, TexNet, The University of Texas at Austin. Bookmark the permalink.